AMD’s EPYC Rome processors based on the 7nm Zen 2 architecture are not that far from launch as the company is expected to launch them at the Computex 2019, next month. While we have taken a good look at the underlying architecture of the Rome processors and the innovative Chiplet (Zen) design, there are still some key features that AMD hasn’t disclosed yet but thanks to STH, we now know one key feature of the upcoming processor which would absolutely crush the competition, if true. 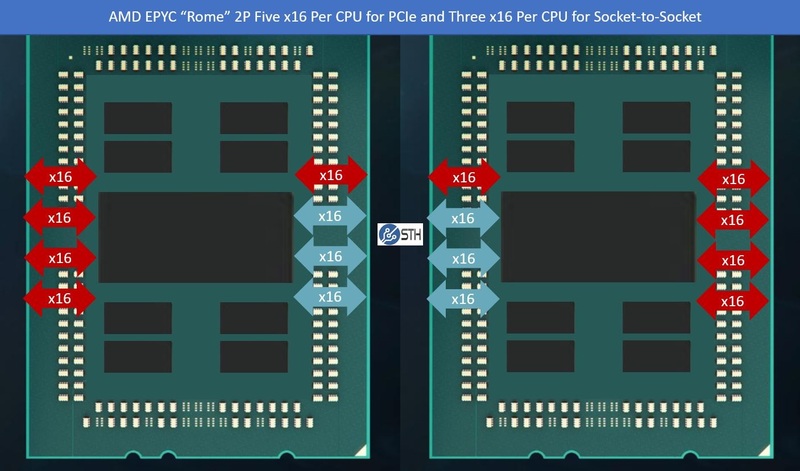 After some fact finding, ServerTheHome has concluded that AMD’s EPYC Rome processors would feature a higher number of PCI Express lanes than anticipated. We know that a single EPYC Rome processor would rock 128 PCIe Gen 4 lanes but this is particularly the dual socket servers that we are talking about. Now the main advantage that AMD gains over Intel is that PCIe Gen 4 offers them twice the bandwidth as PCIe Gen 3. This is crucial along with the updated Infinity Fabric that AMD is using on their server processors. While the previous Infinity Fabric relied on the PCIe Gen 3 speeds for inter-chip communication, having PCI-e Gen 4 would mean that the Infinity Fabric would be affecting the PCI-e capacity lesser this time, directly enhancing the chip-to-chip, socket-to-socket, and I/O band-width speeds. 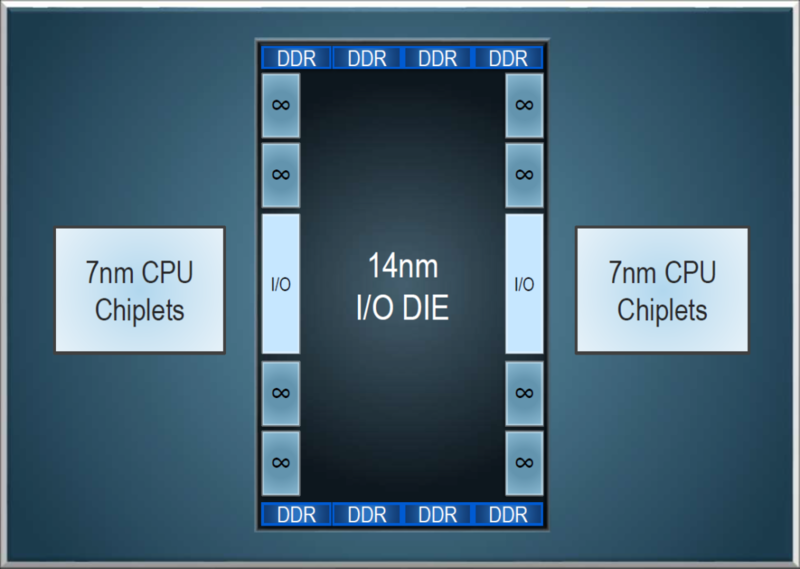 Since there’s excess bandwidth available, there would be less reliance on the x16 links between the two chips and it is said that this would open up some flexibility, allowing partners who don’t want the excess bandwidth to use them for practical purposes rather than server a high-speed interlink. Having just three x16 links instead of the four would allow for additional PCIe lanes that could serve outside the IF communication channel. 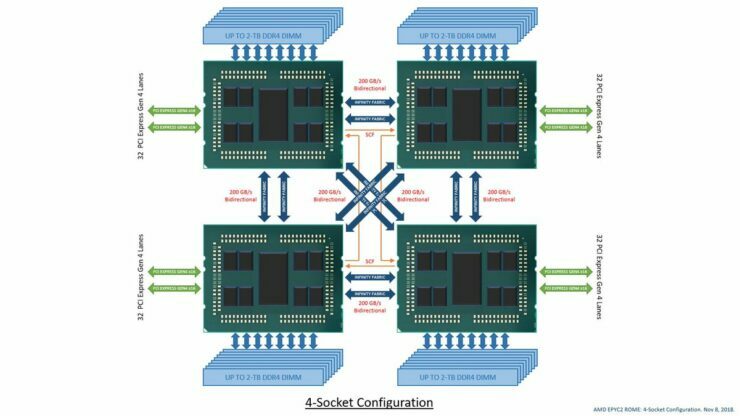 This would allow for additional PCIe Gen 4 connectivity, giving users up to 162 PCIe Gen 4 lanes. It is reasonable to consider that most won’t go this route since lower bandwidth for chip-to-chip I/O is not an ideal approach but AMD has given a path to choose from. 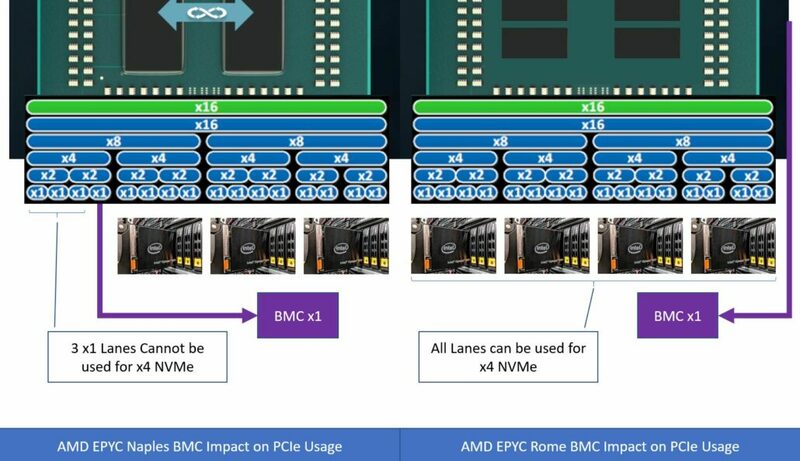 There’s also the possibility that some customers can gain up to 192 PCIe Gen 4 lanes which would be possible by disabling two x16 links but STH reports that now OEM is currently supporting 2x inter-socket links (192 PCIe Gen 4) lanes, although it would offer the same interconnect speeds as the first generation EPYC “Naples” processors. Just for comparison sakes, the first generation EPYC Naples infinity fabric ran at 10.7 GT/s and 4 x 16 IF links were required to meet the bandwidth demand. 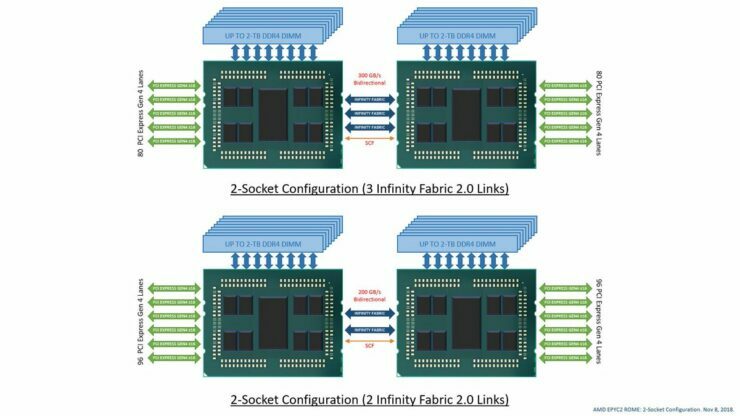 In EPYC Rome, the infinity fabric runs at 25.6 GT/s which is more than twice the speed of the first generation EPYC processors. This means that you’d need only 2 x16 IF links for chip-to-chip communication and the more IF links used, the better the latency and bandwidth. One thing to consider however is that the PCIe Gen 4 on EPYC processors would require a slightly new platform with updated PCB design. In EPYC NAPLES, IF is 10.7 GT/s (8X MEMCLK). In order to provide sufficient bi-section bandwidth, you need 4 x16 IF links between the 2 sockets. In ROME, however, IF 2.0 is much faster at 25.6 GT/s (16x MEMCLK). You only need 2 x16 IF links between the 2 sockets. 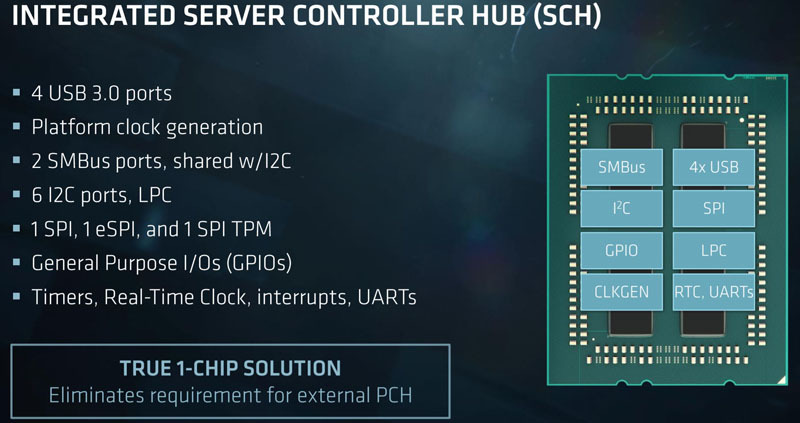 The other main feature of the new EPYC Rome processors would be the SCH (Integrated Server Controller Hub) which is mentioned as the standalone 14nm I/O die. In the previous processors, AMD had to share a lot of resources, including PCIe lanes by relying on low-speed 3rd party controllers. AMD has planned to provide an extra lane per CPU to the SCH to drive NVMe and other essential I/O but not necessarily high-speed connectivity devices which would be powered by the main x16 links. 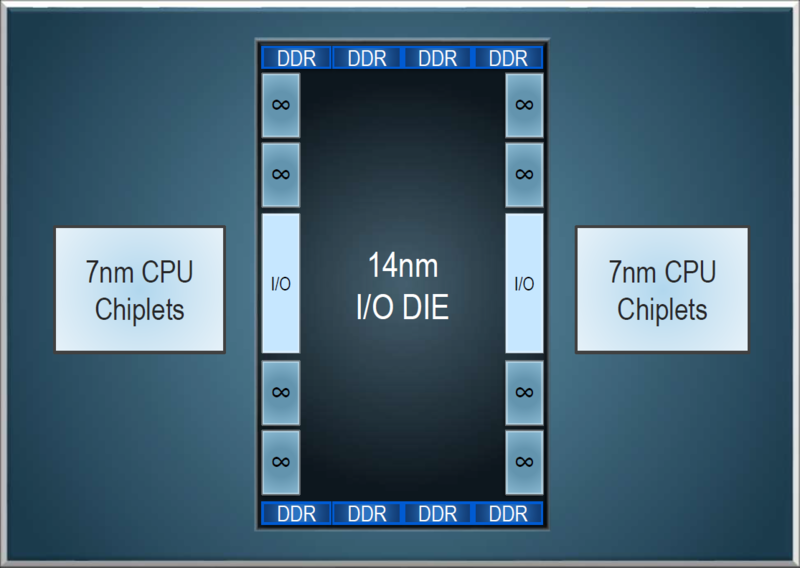 This extra lane wouldn’t be part of the core x16 links but an independent link which would be provided to the EPYC Rome I/O chip. It looks like AMD is in the leading position if this research is correct. There are already reports of them gaining double-digit server market share numbers by 2020. Unless Intel makes some drastic changes with their 10nm Xeon CPU lineup codenamed Ice Lake-SP, things don’t look that well for their Xeon server efforts.